Kevin Fowler Interview: Hell Yeah! He Likes Beer! 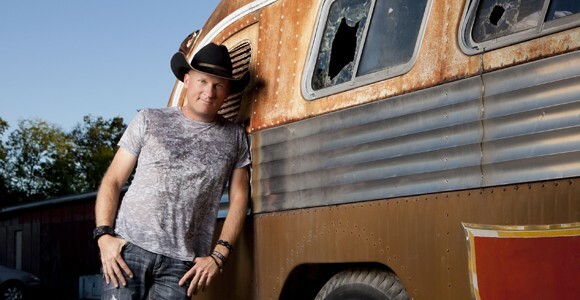 Amarillo, Texas native Kevin Fowler has released five studio albums and has charted three singles on the Billboard Hot Country Songs charts, including the top 40 hit “Pound Sign” (peaked at #34 in May 2010). Fowler recorded and released his own debut album, Beer, Bait, and Ammo in 2000 and the album sold over 30,000 copies in Texas. The title song was popular enough that Mark Chesnutt began playing it in his live show and Sammy Kershaw recorded it for one of his own albums. The singer was signed with Equity Music until it ceased operations in 2008 and Lyric Street Records in 2010 until its closure. He collaborated with country rap artist Colt Ford on the song “Hip Hop in a Honky Tonk,” on Ford’s 2010 album Chicken & Biscuits, and in 2011, signed to Ford’s label, Average Joe’s Entertainment. 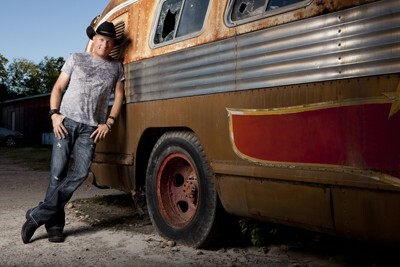 In early 2011, Fowler released the single “Girl in a Truck,” which hit No. 1 on the Texas Music Chart and in May of this year announced the release of single “Hell Yeah, I Like Beer” as well as his new album Chippin’ Away. The new single has remained No. 1 and dominated the charts for several weeks, quickly becoming a favorite in clubs and dance halls across the Lone Star State and beyond. The music video of “Hell Yeah, I Like Beer,” to which Fowler himself directed, also became the most viewed video on all of CMT’s website. 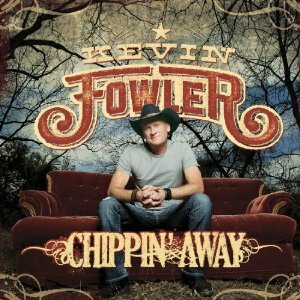 Chippin’ Away, Fowler’s sixth studio album, went on sale August 9, 2011. The follow-up single, “That Girl,” will be released to country radio across the nation September 12. Melissa Parker (Smashing Interviews Magazine): Kevin, how are you today? Kevin Fowler: Oh, pretty good. We’re just rolling down the road here heading to a gig. Where are you? Melissa Parker (Smashing Interviews Magazine): I’m in Alabama. Kevin Fowler: Alabama, well, we’re in Beaumont, Texas. Melissa Parker (Smashing Interviews Magazine): I enjoyed the new album. Did you have any particular concept in mind before you began writing the songs? Kevin Fowler: Just to write the very best songs I could and to try to stay true as to what I’ve always done. I step up the songs a little bit every record and make sure the production is good. I always just try to beat the last record. That’s always hard, to beat the last one. Melissa Parker (Smashing Interviews Magazine): Your fans are basically used to songs about women, drinking, and honky tonking. Melissa Parker (Smashing Interviews Magazine): So why did you include a couple of ballads? Kevin Fowler: I usually put at least one or two ballads on all of my records. I think a couple of my biggest regional hits have been ballads – “Best Mistake I Ever Made” and “Hard Man to Love.” I’m pretty much known for my beer drinking hell raisin’ songs, but I always try to include a couple of ballads to not make the record one speed, one trick pony, just try to shake it up a little bit. Melissa Parker (Smashing Interviews Magazine): “Daddies and Daughters” is a beautiful song. Melissa Parker (Smashing Interviews Magazine): How old are your girls? Kevin Fowler: Four, nine, and sixteen. I got one in diapers and one in driving school. Melissa Parker (Smashing Interviews Magazine): That could be nerve-racking on both ends (laughs). Melissa Parker (Smashing Interviews Magazine): Have they shown any interest in music? Kevin Fowler: Not yet. I don’t think they’ve figured out what they want to do yet. They’re too busy trying a little bit of everything. Melissa Parker (Smashing Interviews Magazine): How did “Hell Yeah, I Like Beer” come about? Kevin Fowler: I wrote that with David Lee Murphy and Shane Minor at David Lee’s house one day. We were talking about writing a good old beer drinking song and they kind of had that idea and started it. We just sat down and wrote it one day. I think it’s hilarious. It’s right up my alley, tongue in cheek, beer drinking kind of stuff, you know? Melissa Parker (Smashing Interviews Magazine): Did you write “That Girl” about your wife? Kevin Fowler: If she asks, yes (laughs). Me and Trent Willmon and my buddy Clint Ingersoll wrote that one day at Trent’s house. The melody kind of started and we just started brainstorming, knocked it out in one day. I think it is probably the strongest most commercial song on the record and the next single. Melissa Parker (Smashing Interviews Magazine): Kevin, when did you seriously decide to pursue music? Kevin Fowler: I stared out as a country fan when I was a kid because that’s all that was allowed in my house. There wasn’t any long-haired music allowed. In my teens I really started getting into rock and started playing guitar. I played drums in the high school band. The other boys were playing football and there I was taking piano lessons. I got into college and began playing in garage bands. By 21 I decided it was what I wanted to do. I was a junior in college and my parents thought I was crazy. “You’re doing what?” I said, “I want to be a musician.” They said, “Yeah, okay, you’re on your own buddy! Good luck!” I think they thought it was just a passing phase. But once I figured out that was what I wanted to do, they were cool with it. They’ve been my biggest supporters all along. Melissa Parker (Smashing Interviews Magazine): You’ve had some bad luck with a couple of record labels in the past. Kevin Fowler: Yeah in the last few years … thank God we have a huge fan base that kept us afloat. If we lived and died by record labels I’d be dead a few years ago. I just didn’t get a chance for a break when it came to record labels. That’s why I was glad to get Lyric Street Records. They are owned by Walt Disney and I thought that was as stable a record deal as you could get, man. Walt Disney, Mickey Mouse … man these guys are going nowhere! Then I’ll be damned, as soon as we got the single going it folded up. Anyway, it led us to where we are so it’s all good. Melissa Parker (Smashing Interviews Magazine): In one of your tweets you spoke of a beer-drinking goat that would only drink Bud Light. Kevin Fowler: Yeah, pretty cool. It was in Concan, Texas at a bar and there was a damn goat walking around. Melissa Parker (Smashing Interviews Magazine): Does the song “Political Incorrectness” sort of sum up your views on the world and politics? Kevin Fowler: Oh yeah. Sometimes I don’t know when to shut up (laughs). But yeah, I think that pretty much sums me up. Melissa Parker (Smashing Interviews Magazine): I saw an interview in 2007 and you said you didn’t care if you ever made it big. Has your attitude changed any now? Kevin Fowler: I’ve been blessed with a killer fan base. The country music scene is huge down here. It could be a lot that’s going on in the southeast right now – Colt Ward and all of those guys, kind of the same model that’s been going on here for 60 years. It’s regional music, it’s super strong, and it’s highly supported by the general population. If you stay down here your whole life and make an awesome living and have a big fan base you can do what you want to do and not answer to any labels or anything. But as an artist you always want to take your music to as many people as you can. That’s kind of where I’m at. I could stay here forever and be a big fish in a small pond. At the same time you want to be a big fish in a big pond. You always want more and more people to get what you’re doing and try to stand out. That’s what this whole record is about. That’s why I went to Average Joe’s, you know? To show the rest of the world that this isn’t just regional music. There are country people and rednecks everywhere. They ain’t just in Texas or in the southeast. There are country people that like pickup trucks and beer drinking and hell raisin’ everywhere … even in New York City. You just have to take your music to them. Melissa Parker (Smashing Interviews Magazine): Are you touring right now just in Texas? Kevin Fosler: The majority of our dates are in Texas, Oklahoma, Mexico, Louisiana, and Kansas. We have enough work just to play fairs and festivals in Texas. That could keep us busy for the next ten years, but the plan is to get out there and just spread the gospel of playing country music. Melissa Parker (Smashing Interviews Magazine): Any plans for Alabama? Kevin Fowler: We’re heading to Alabama this fall or winter. I have some dates with Colt Ford. Melissa Parker (Smashing Interviews Magazine): Any plans for a new album? Kevin Fowler: Just about to get started on it. I’m just starting to get a bunch of song titles and ideas going. I’ve got enough songs from the last record to do a whole other record. The good thing about this record taking four years is I had so much time to write. Normally I write ten or twelve songs, we’ll record them and we’re done. But this last record I had so much time that when we got in the studio I had over forty songs. There are many great songs that didn’t make the cut. You just couldn’t put them all on there so I’ve got a skeleton of another record ready to go. I’m just trying to write better songs, you know? That’s where we’re at, ready to get back into songwriting, get this record out there and on its feet, and just trying to stay busy. Melissa Parker (Smashing Interviews Magazine): What are your interests outside of music? Kevin Fowler: I’m really a great outdoorsman. I love hunting and fishing, riding four wheelers, and goofing off with my buddies. We just put out a regional webisode, a kind of behind the scenes, what I do on my days off type of thing. I mow the lawn. Sometimes it’s just as simple as getting home and getting on the tractor and doing regular stuff, not having to be on a bus, doing interviews or TV or anything, just being regular. Melissa Parker (Smashing Interviews Magazine): Are you a Hank Williams fan? Melissa Parker (Smashing Interviews Magazine): If he were alive today, what would you say to him?